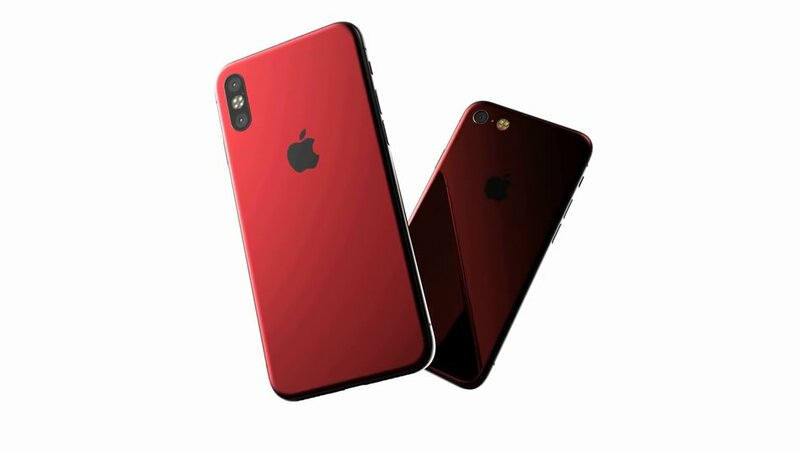 Latest 2018 iPhone 9 Leak Promises Apple's Five Color Surprise Including Orange! Latest 2018 iPhone 9 Leak Promises Apple’s Five Color Surprise Including Orange! Apple’s 2018 iPhone lineup is the source of constant speculation over the past couple of months. Courtesy of all this, it’s now possible to claim with some amount of certainty that the company will launch three new iPhones this year. These are the 5.8″ iPhone X(s), 6.1″ iPhone 9 and 6.5″ iPhone X(s) Plus. One bit of contention around the three devices is their pricing. Apple made a bold move last year when it launched the iPhone X with a $1000 price tag. This ensured that the company’s ASP (Average Sales Price) went up, resulting in revenues staying strong despite a user hesitancy to upgrade from older devices. Today, everyone’s favorite analyst Ming-Chi Kuo is back with details for the 2018 iPhone lineup’s pricing and more. Take a look! Well, here’s something you don’t see every day. Remember the iPhone 5c? Apple launched the device in September 2013 as it looked to cater towards the middle and lower tiers of the market. Despite creating a hip following, the iPhone 5c as a whole was a failure as Apple’s fanbase was simply not used to a plastic smartphone. Moving forward to 2018 looks like Apple is now ready to give the whole thing another try. Ming-Chi Kuo is back today and this time he’s got some new information for the 2018 iPhone lineup’s color options. According to Kuo, Apple will offer the iPhone X(s) Plus in black, gold and silver color options. The 6.1″ LCD iPhone 9 that’s expected to carry the company’s revenue through this year and the next will instead feature five color options. These, according to the reliable analyst are grey, white, red, blue, and orange. Sounds quite a handful of different options if you ask us. While the LCD iPhone 9 will cost some $300 short of Apple’s high-end smartphones, this move will mark the difference between the three devices as clear as daylight. Subsequently, it might turn users away from it, since Apple’s customer base often prides itself on owning high-end gadgets; with this being one reason behind the iPhone 5c’s poor performance. He’s also very optimistic for the iPhone 9, expecting for the device to account for 55% of the lineup’s sales this year and helping Apple weather the storm during 2019’s first months as well. As far as the iPhone X(s) and iPhone X(s) Plus go, Kuo expects that their sales will be primarily fuelled by early adopters – or the folks who waited out on an iPhone X or simply want the latest Apple smartphone as soon as it’s out. While all this is good, we’re still concerned about the bit about color options. Introducing this many will ensure that people draw parallels to the iPhone 5c and end up diluting the iPhone 9’s brand perception. Apple should not want this for a device that it hopes to entice users for an upgrade. Maybe, just maybe Kuo’s wrong on this one. As always, we’ll find out soon enough. Till then, stay tuned and let us know what you think in the comments section below and stay tuned. We’ll keep you updated on the latest.